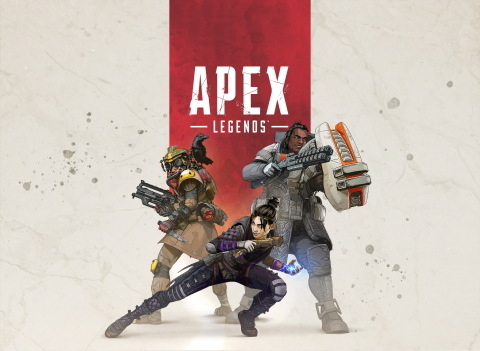 Today Electronic Arts Inc. (NASDAQ:EA) and Respawn Entertainment launched Apex Legends™, a free-to-play* battle royale shooter available right now on Origin for PC, PlayStation®4 and Xbox One. Set in the Titanfall™ universe, Apex Legends shakes up the battle royale genre with a cast of unique characters, squad-based gameplay, innovative mechanics and more. "Our goal in every game you play is that you come in with a plan but you leave with a story," said Drew McCoy, Lead Producer for Apex Legends. "We're building a game that is not only going to deliver a fun and memorable experience at launch, but something we can keep growing for a long time to come." Apex Legends showcases several new genre-leading innovations, starting before players even start the match. Once players are ready to begin, they'll choose their drop point with the Jumpmaster system, giving each squad full control over exactly where they drop in. Is it smarter to head straight for the most valuable loot and risk early conflict with other teams, or make for one of the outlying areas to plot an attack and let other squads pick each other off? The innovations don't stop there as Apex Legends also delivers Respawn Beacons, one-time use locations where defeated teammates can be revived, a contextual Ping communication system that allows players to call out enemies, weapons, locations and more with the push of a button, and an intelligent inventory system which automatically attaches gear and equipment to the appropriate weapons once players pick them up. All together it creates a battle royale experience unlike any other, complete with Respawn's commitment to top-notch quality and fun.